As a parent, every milestone our children go through is both exciting and educational. As a first-time parent, we learn everything we can, either deliberately or by experience. And despite feeling more prepared when number two (or three or four) arrives, we soon discover all children are different and we get to learn something new all over again. The same is true with baby teething and kids losing teeth. 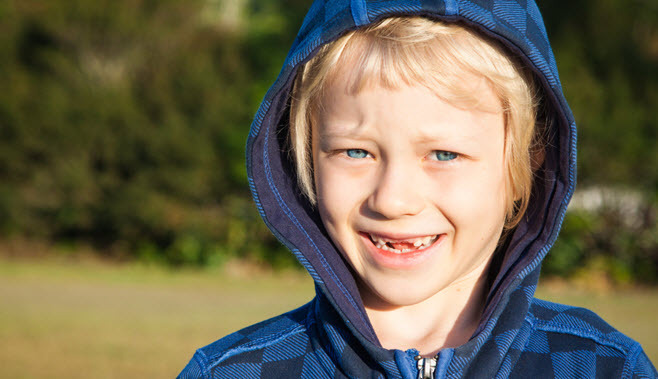 Here’s what you need to know about kids losing teeth. When Should My Child Lose Their Baby Teeth? 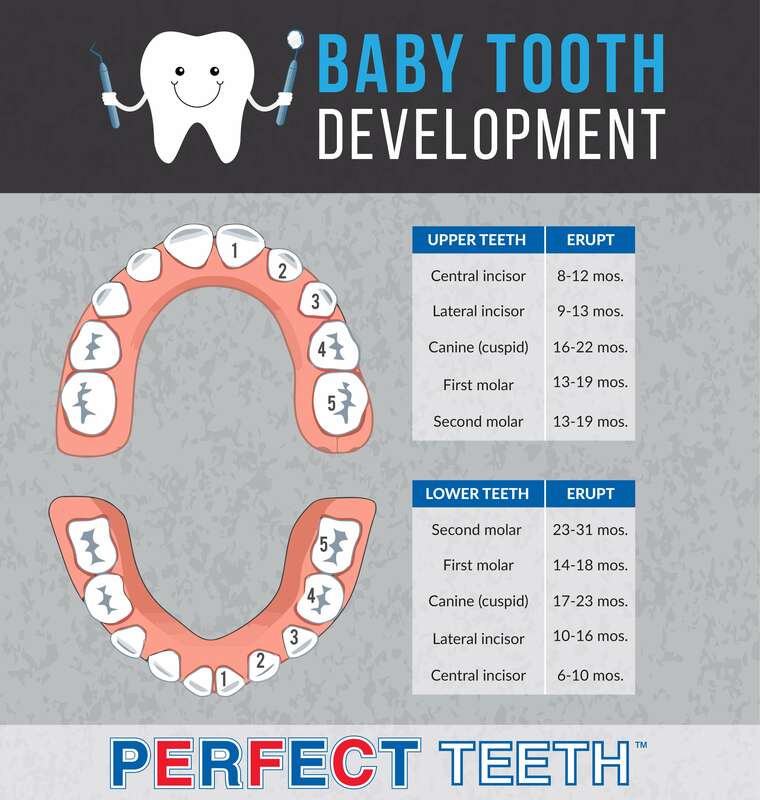 Baby teeth (also called deciduous teeth or primary teeth) begin to wiggle as early as age 4 and you will see kids losing teeth between the ages of 5-15, with girls many times losing them before boys. Loose teeth are totally normal and the wiggly tooth will fall out. Don’t worry about swallowing it, because you will feel it. It’s ok to go to the school nurse if you feel it come out. There will be some blood and you can use a tissue to blot it if you want. Keep your tooth in a tissue or sandwich bag until you get home. There are lots of fun books to read to kids or check out the American Dental Association’s “Ask the Tooth Fairy” for some help guiding this conversation. Kids Losing Teeth – What’s Next? Is there anything cuter than a child who is missing their two front teeth? Embrace that look since the adult teeth will take some time to come in. Teething as a big kid isn’t usually as painful as it was for your baby. Typically the only pain your child may feel when the permanent teeth come in is with the eruption of molars, and is usually that can be resolved with an over the counter pain medicine. When the adult teeth do come in, you’ll notice they are larger, slightly darker and more ridged than their baby teeth. And while taking good care of their teeth has always been important, this is the last set they get! Make sure to continue to see the dentist twice a year to take care of them. Many parents want to help celebrate this milestone using the tooth fairy tradition. There are loads of cute ideas floating around the internet – everything from notes to the tooth fairy, special pillows or boxes, cute picture ideas and more. 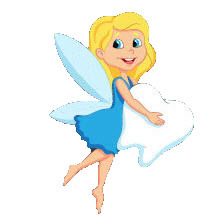 A long standing part of the tooth fairy tradition is the financial reward for the child! And while this amount varies widely by family, Delta Dental tracks the going rate on their Tooth Fairy Poll – currently $4.13 per tooth in the United States! Have more questions about kids losing teeth? PERFECT TEETH dentists are here to help answer those questions and keep your entire family’s teeth healthy. Call one of our local family dentists today at 844-717-9588 or click here to find a dentist near you.